"A Sigh to the Smile" - Matinee with Bettina Pahn and Joachim Held. One could be pleased about Joachim Held. He is one of the very few German lutenists who are highly regarded internationally. And one immediately noticed why. Because Held is a musician (in the White Hall he played the Chitarrone), who analyzes very precisely and develops strongly differentiated structures, who has a broad, colored repertoire of timbre, and who can also play absolutely cleanly. 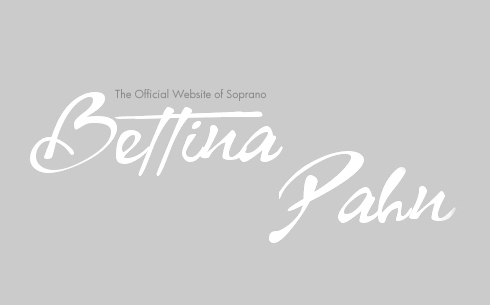 One could also look forward to his colleague, the soprano Bettina Pahn. She proved herself as a singer who absolutely and perfectly governs baroque chamber singing, who, with her lightning-clean intonation, can not only sing a lightning-clean "Messa da voce," but also improvises extraordinarily with an assured sense of style and tasteful embellishment. In addition, she knows exactly what she sings: her interpretations are always small, high-emotional narrations. For example, "Dolcissimi sospiri", the first, Italian part, were particularly striking, even if they originate from a time which has nothing more to do with today. But Joachim Held and Bettina Pahn had intimately coordinated their expressive timetables. And, with the Songs of Caccini and Frescobaldi, one did not have to understand the very well-articulated text at all in order to know what it was about; also not with the marvelously-intensive Cantatas of Barbara Strozzi….In contrast, there was the chance to chuckle in the German part of the Matinee with Kremberg's "Gebet Rath, getreue Sinnen"….above all, however, with Telemann's Cantatas "Der Geiz" (Greed) and "Das Glück" (Happiness), in which, after morally-sour complaints and considerations, a mischievous solution always follows. And simply to enjoy, there were the instrumental movements of Piccinini, Kapsberger and Weiss that Joachim Held played between the vocal pieces. That there were composers with humor also in the Rhön Mountains in the baroque era was proved by the delicious encore "Von allerhand Nasen" (Of All Kinds of Noses), by the Bach-contemporary Valentin Rathgeber from Oberelsbach in Bavaria….Altogether a highly-witty Sunday's pleasure." For a long time the Orangerie of the Schwetzinger castle has proven itself in the accommodation of the exotic. If it was initially palms, today it is the series "Lute Music in the Orangerie". In the light of candles the first two concerts turned out to be different kinds of experience….Only on the second evening did the disappointment give way to great fortune. 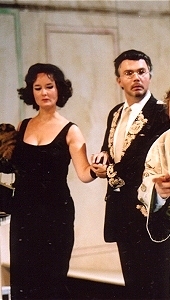 The Soprano Bettina Pahn and the lutenist Joachim Held, with their program entitled "Sweet Sigh," offered intoxicating arias and lute music of the baroque era. From the first note, Pahn sought contact with her listeners in order to share with them the celebration in song of the wealth and woe of love. With clear timbre she alternated effortlessly between despair and impertinence. So G.P. Telemann's "Der Geiz" (Greed), became a shining, humoristic accusation against the pseudo-religious delusion of dieting. The fully-blazing low range and, after one or two tones, freely-sung highs moved one in "Fino alla morte" by B. Strozzi. Occasionally the otherwise exemplary text-comprehensibility suffered from imprecise consonants. But the effortless "quicksilver-ness" in the coloratura made one unreservedly happy. What a relief from today's usual corny warbling in the third-octave vibrato. Held was an attentive partner, who set his own impulses. In his solo works he proved himself with brilliant technique as a subtle master of lyrical music, who traced the full energy of the balancing act between tone and harmony. Phrasing and tasteful embellishment always seemed thought-out and natural. Only in the dance movement one wished for more "disco" than "dancing school". For him, control and melodic lines go to the frontier ahead of musically pointed emphasis. Prolonged applause." And if then music and poetry are joined in perfect harmony, the transcendental spheres themselves begin to open. 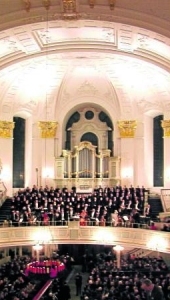 This could be experienced in the first evening concert of the Handel Festival, in which the Soprano Bettina Pahn and lutenist Joachim Held bewitched the public with word and string play. Caccini's opening "dolcissimi sospiri" already spoke of such tenderness and longing that some listeners would have probably gladly joined in with the sighs….Yes, Bettina Pahn, a master of the transformation of musical rhetoric and intoxicating through her vocal command and variety of timbre, could also speak another language: with sassy wit and word-play shenanigans, she tutored in Hammerschmidt's musical setting of the art of kissing or asked ponderously with Kremberg's tones for advice in issues of love." CD "Dieterich Buxtehude: Opera Omnia V, VII, XI, XIV & XVIII"
"Dating back to Medieval times, German Christmas carols have a long tradition. These early tunes normally integrated well-known folk melodies with lyrics written by local clergymen and sung in churches, often as choral dialogues, or performed in religious Christmas plays. Under the influence of the Reformation, the celebration of Christmas extended outside of the Church into the family domain. It was in the 19th century that many of the festive German carols known today first arose. Older carols were adapted and modernized; new lyrics were added to familiar folk tunes. While the religious impulse behind the spirit of the celebration was not wholly abandoned, the tone of the new German Christmas carols was lighter and less ritualistic than the Church songs. Here is new Christmas album from Joachim Held and Bettina Pahn, artists considered preeminent Baroque specialists. 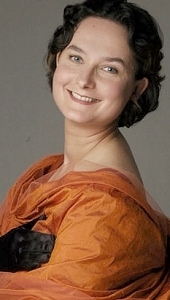 The award-winning Joachim Held is on his way to becoming an internationally recognized lutenist while soprano Bettina Pahn, has made a name for herself singing with Ton Koopman's Amsterdam Baroque Orchestra. Together they have collaborated both in concert and on recordings. Pairing the lute with a soprano was a staple of Baroque music in both Germany and Italy. Together the hushed sound of the voice is sweetly accompanied by plucked and strummed lute. The album includes classic holiday fare all sung in German or Latin including "In Dulci Jubilo," "Silent Night," "O Tannenbaum" and a moving version of the Christmas lullaby "Still, Still, Still" - 22 tracks in all. This is a beautiful and well-made album with a natural beauty and a fluid musicality of singing and playing. One could not expect more. These two long-time duo partners turn the talents to capturing the home-spun beauty of the German carol tradition, sounding every bit as exquisite as they did on their other CD. Here is a consistently fine and intimate collection that should happily attract and easily appeal to listeners looking for a holiday album that is as charming as it is agreeable." "Held, together with his wife, the singer Bettina Pahn, makes heart aching music. 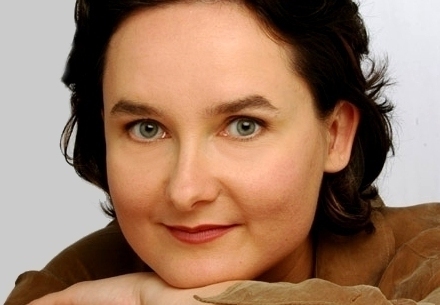 The Erfurt-born singer, who teaches at the College of Music in Rostock, sings nearly two dozen freely-flowing folk songs with concise diction, compellingly natural, and nevertheless with the technical skill of a practiced baroque and Mozart interpreter. The contribution points to an element of the singer's biography: the daughter of a phonetician and a speech educator, she practically grew up with folk songs. In East Germany this was due more to "political correctness" than in West Germany, where first the Hitler regime and later "Adorno's verdict" brought this genre to disrepute. Germany's division is also expressed in this occurrence. Nonetheless, Pahn, as she gladly underscores, finds her "emotional home" in folk songs. You can hear it." "Remote from all hit-parades of folk music, with their rancid assembly-line commodities, fortunately there are still musicians who are inspired by the simple and genuine. 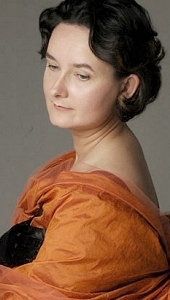 Bettina Pahn sings simply well, namely, unmannered and confident of intonation, 25 songs and ballads from "Alle Vögel sind schon da" to "Kein schöner Land in dieser Zeit," that, also thanks to Joachim Held's economically elegant lute background, come across as small revelations".